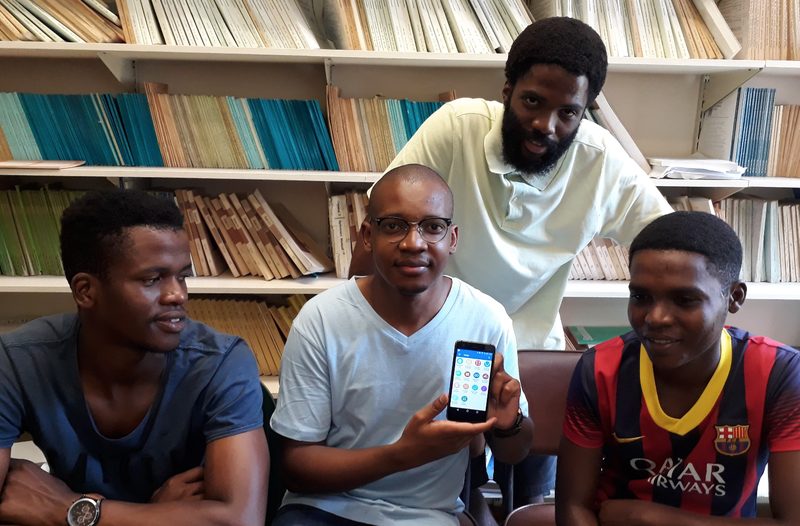 The second-place winner in the Ithala Development Finance Corporation's Inkunz’ Isematholeni Youth in Business Competition 2017 has launched a mobile maths learning app to help young learners with their mathematical problems. Pietermaritzburg-based young entrepreneur Lloyd Gordon entered his prototype app into the competition and won R50,000 in working capital and business support. He also received assistance from UKZN’s InQbate, which has developed an Entrepreneurship Skills Programme called ENSPIRE to equip the university's students with entrepreneurial skills. The app covers all topics mathematical, from algebra to trigonometry, and solves equations and plots graphs, among other features. All a student needs to do is type in a mathematical problem and the app returns a step-by-step solution, ensuring that students learn how to get to the answer. “It is not just a scientific calculator, it is a learning tool that helps students understand and learn. It provides all the formulae and notes on each of the topics and is intended for high school and university students,” said Gordon, who has a University of KwaZulu-Natal Computer Science degree. READ: Are you ready for a franchise? His idea for the app came about when he saw how he and most of his peers struggled with maths. “I tried to solve the problem that maths is a problem,” he said. Gordon is excited about having the opportunity to make an impact on the lives of others. Maths is just the start, and he is planning chemistry and physics apps to make a complete scientific set. The free app functions on Android mobile phones, as well as online at OpenOmnia.com. The Inkunz’ Isematholeni programme empowers aspiring entrepreneurs to turn their creative concepts into fully-operational businesses by providing start-up capital and the necessary business support to help them launch, manage, and run their businesses successfully. The flagship campaign was launched by Ithala in 2014 in an effort to tackle unemployment by encouraging youth to consider self-employment as a job option. For more inspiring stories, visit www.myithalastory.com. ALSO READ: Is it time to expand your business?